In my endless pursuit of sound, vibration and inspiration that only music can give, I always tried to rummage in the “transversal” proposals, made by artists who mix different passions, different sources of inspiration and involved 360 ° in a sort of path simultaneously starting from many different arts, and then, synthesize them into a single, final, decisive one. And it’s not the only one, because all other materialize as decisive, in turn: when fashion, for example, was inspired by the music and then the reverse occurs, or the art of painting on fabric is inspired by a music or at a time when composing a loop, a color is laid on the canvas of a bag or a T-shirt … strictly striped. 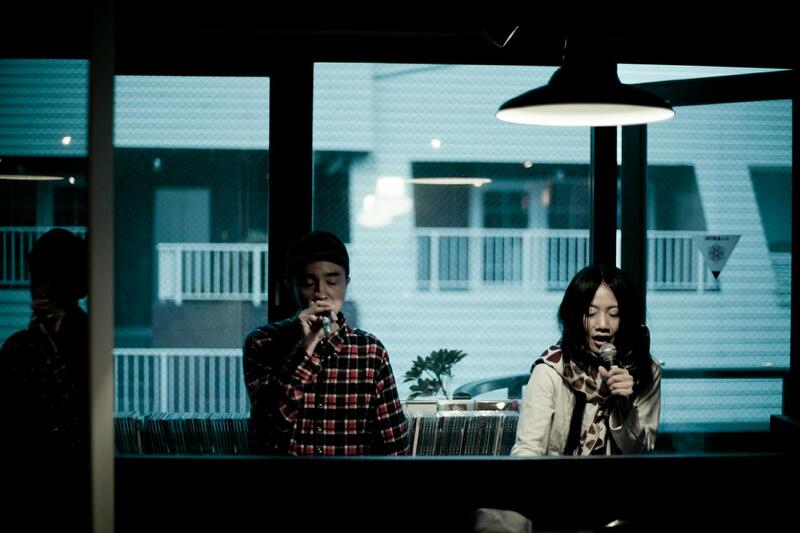 Satsuki Muto and Riki Azuma, of Studio75 and Small Circle of Friends have all this. They are artists, musicians, are creative, they are passionate. Riki never stops experimenting sounds, born from a knowledge of music that is amazing: almost a mental archive of billion gigabytes where a innermost sound of soul, jazz, funk, latin …. is extrapolated from a hypothetical drawer and redefined and reassembled with one of these magic “boxes” in which, during their live set, he and Satsuki interact with light touches, and they interface in a communion of sound that I find incredible, working on the voice and on vinyl that Riki play on the deck. The summary of all this, for me, is contained in the “tailoring” collection of loops that are available for download on Bandcamp and that I have collected from the first output. I find an affinity between their music and the work of the tailor is incredible. Many try to do that, it is true. But in the other examples that I’ve gathered, listened to and on which I reasoned, something is missing. I sought in myself what could be and I found out what more there is in the music of Studio75 and Small Circle of Friends an I think it’s love. A love that I feel in their words… I see in their hands when they work… I feel vibrate in their performance when I saw them play live. If the music for you is something powerful that can motivate you, strengthen you, make you grow, make you excite and inspire, build your own sound path with music by Studio75.